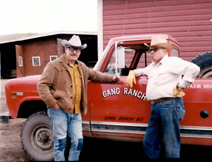 The crew travels to the largest ranch in North America, 55 miles west of Clinton, B.C., during roundup and branding. Founded just after the Civil War, the Gang Ranch is 3,000,000 acres with 7,000 cattle and owned by the Sidwell family. 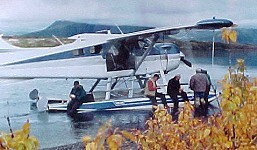 The rugged backcountry of northern British Columbia has numerous inaccessible lakes reached only by the 'workhorse of the north', the floatplane. You just can't beat flying into unknown lakes and fishing from a floatplane for adventure! Myrtle Lake in BC’s majestic Wells Gray Provincial Park is the setting for this tongue-in-check, behind-the-scenes filming of an Exploration Northwest adventure. Plagued by mud, rain, mosquitoes, and no fish, McCune manages to make this into one of the most-requested episodes.